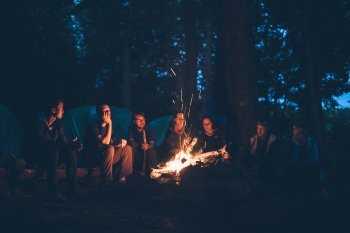 Grab your family, friends and loved ones because camping season and campfire season is right around the corner! Rip's Welcome Back Giant Bonfire is the perfect way to kick off camping and campfire season on the right foot. There will be music, snacks and a ton of laughs. We encourage you to pull up a chair around this giant bonfire on this April 14 and join us in celebrating the beginning of another wonderful, memorable and highly-anticipated camping season. This will be the time to engage in conversations, enjoy the beauty of the great outdoors and experience leisure at its finest in the beautiful Catskill region. So, start making your camping plans, tell your family and friends and join us for our annual giant bonfire to kick off this camping season the right way!